The air fryer is definitely my favorite cooking appliance, especially when I want to cook easy quick meals in a cinch. I have been using this wonderful appliance for quite some time now and discovered that I can cook more than fried foods in it. The air fryer is very versatile. I can cook muffins, cookies, pies, cakes, casseroles, and more using heatproof cooking containers that fit the basket. It is actually similar to cooking dishes in the oven. All I have to do is adjust the ingredients for air frying, tweak the cooking temperature and cooking time. Viola! Baked goods! The best thing about cooking in the air fryer on a ketogenic diet is cooking hard-boiled eggs in it without boiling water at 260F for 16 minutes. All I have to do is cool them in iced water for 1 minute and peel. Fast egg dishes in no time! The grease container also collects the delicious fat drippings and cooking juices; I can use them to add fat and flavor to other dishes to boost my fat intake. Plus, the air fryer lets me heat leftovers fast and they taste better than once heated in the microwave and more convenient than using the oven. Of course, I spend a lot of time cooking fatty dishes and meat in the air fryer on the ketogenic diet, like bacon, sausage, and burgers. I have experienced many times of the oil getting too hot and the appliance smoking. Foolproof solution? I add water to the grease drawer. Problem solved! Cooking pork chops have never been easier. Although I can cook this wonderful dish in the oven, the greasy juices of the meat tend to soak the crust and they do not turn out as crispy as I want them. 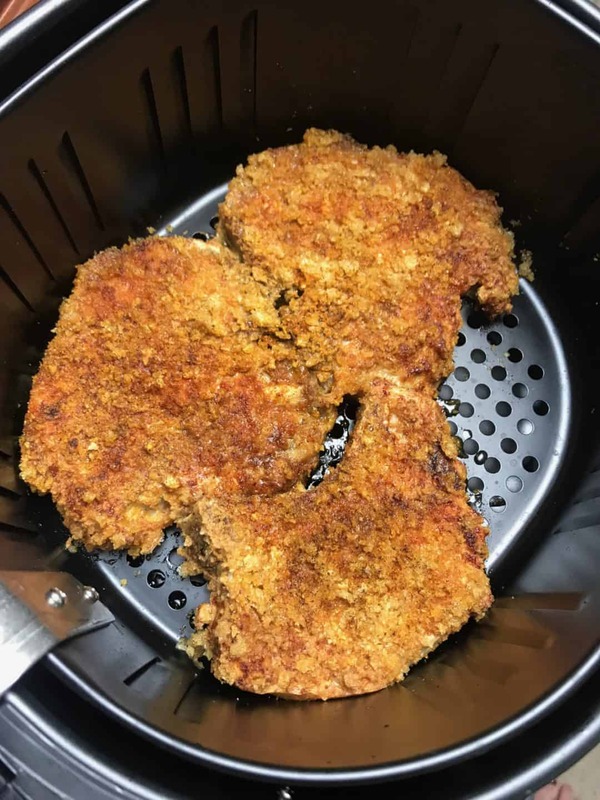 The air fryer is a game changer that lets me cook this dish really crisped. Per Serving: 240 calories, 10.5 g fat ( 4.1 g saturated), 1.1 g carbs, 0.3 g fiber, 0.4 g sugar, 581 mg sodium, 34.9 g protein. The marinating method used in this dish will not cost any additional preparation time if you plan to have this meal in advance. Marinating the beef ahead of time will cook your meat into juicy and tender steaks. You can cook them to your preferred doneness in your air fryer without adding any oil. Per Serving: 476 calories, 28 g fat, 1 g net carbs, 49 g protein. One of the biggest challenges of the keto diet is making dishes for breakfast. If you are not a morning person, then you will most probably grab the easiest item you have on hand, and you may just get tempted to eat something not compliant to your diet. These muffins are versatile. You can add in any leftover meat for a quick meal. You can also cook a large batch, freeze them, and reheat when you need a quick hunger fix. You can even eat them cold. Per Serving: 139 calories, 12 g fat, 2 g carbs, 1 g fiber, 249 mg sodium, 6 g protein. 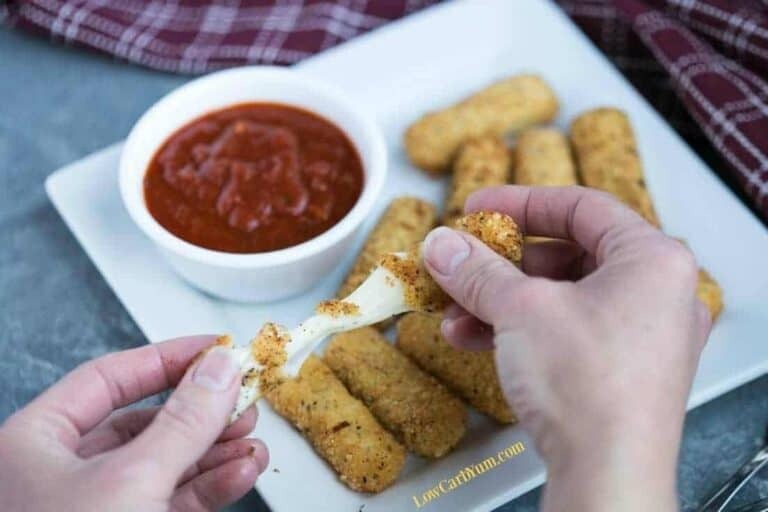 Here’s a convenient appetizer or snack recipe that you will definitely love cooking in your air fryer anytime you are craving for something salty and cheesy. They make a great alternative for fries, too, if you are looking for a side dish. You can make a large batch of them and freeze for a quick eat. Per Serving: 207 calories, 15 g fat ( 6 g saturated), 4 g carbs, 3 g fiber, 0 g sugar, 987 mg sodium, 16 g protein. Maybe you think your eyes are playing a trick on you, but yes, you can cook this wonderful dish in your air fryer. All you need is a heatproof container that will fit the basket of your appliance. And in just 8 minutes you have a delicious seafood dish you won’t believe it is that easy! Per Serving: 221 calories, 13 g fat ( 7 g saturated), 1 g carbs, 23 g protein. This keto low-carb recipe is packed with flavor. You do not have to do much to prepare this dish. You just have to marinate the chicken for 25 minutes in a marinade made of yogurt and spices, which makes the meat tender once it comes out of the air fryer. If you don’t want to use dairy-based yogurt, then you can substitute with coconut milk yogurt and even lemon juice a cinch. Per Serving: 178 calories, 6 g fat, 2 g carbs, 25 g protein. This easy and quick chicken recipe is perfectly marinated and then seasoned with a dry rub before cooking. You can also choose how spicy or mild you want them. 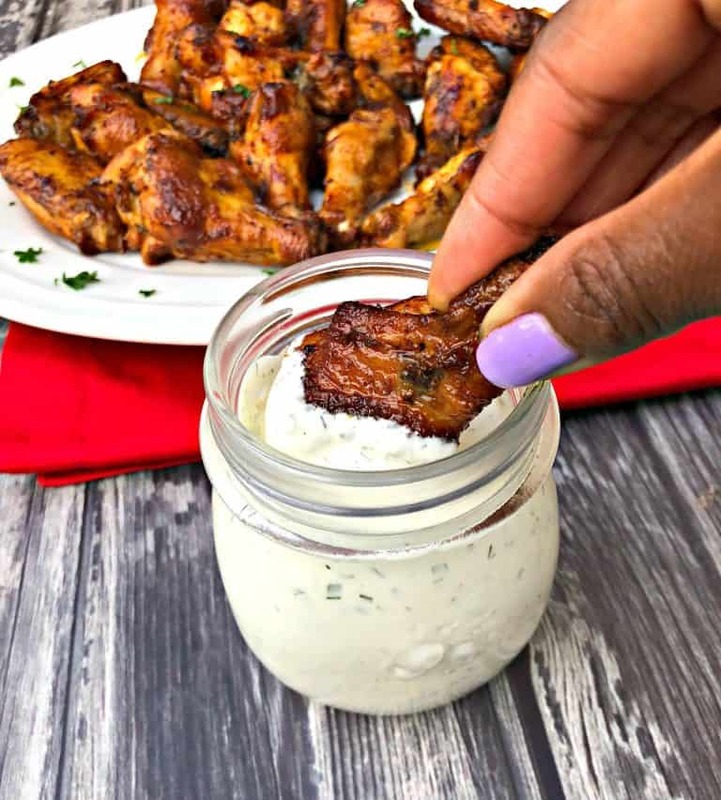 Best served with homemade keto low-carb ranch dressing as dipping sauce made from ingredients that you probably already have one hand for a perfect pair. Per Serving: 208 calories, 16 g fat, 0 g carbs, 5 g net fiber, 15 g protein. One of the foods that you probably miss on the diet is potato hash browns. 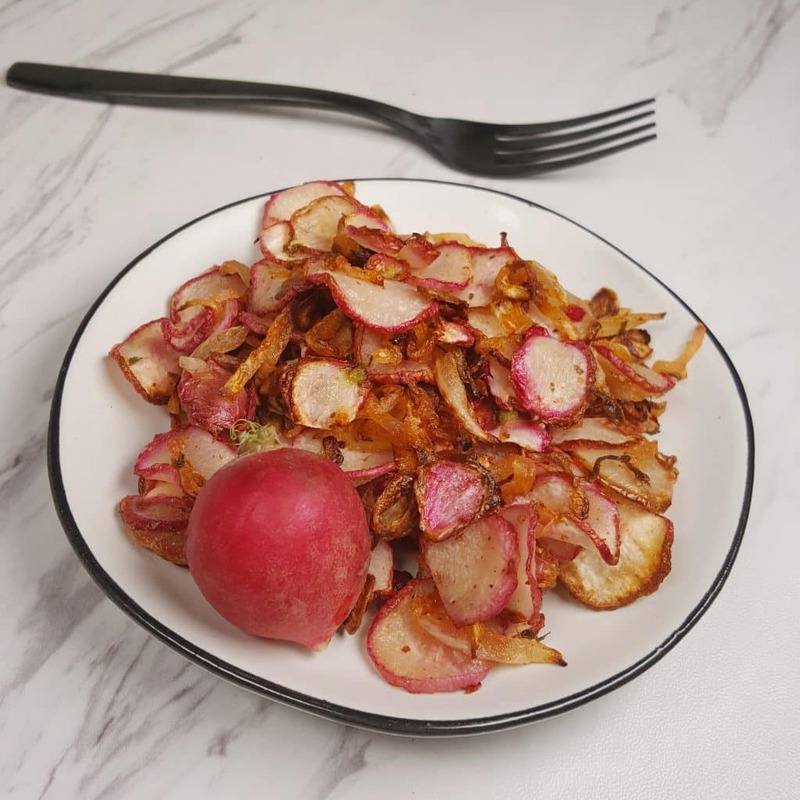 Coating sliced red radishes with seasonings and a bit of oil and then cooking them in your air fryer at high temperature certainly makes a delicious compliant alternative with a wonderful caramelized sweetness; there is no spicy or bitter flavor at all. Serve with fried eggs for a delicious keto breakfast meal. Per Serving: 64 calories, 3.6 g fat ( 3 g saturated), 7.6 g carbs, 4.6 g fiber, 3.7 g sugar, 484 mg sodium, 1.3 g protein. This is not the traditional meat, spices, breadcrumbs, and ketchup on top meatloaf that you may grow up with. This is better! This Indian version has no breadcrumbs, but you won’t miss it since the dish is flavored with many tasty spices. 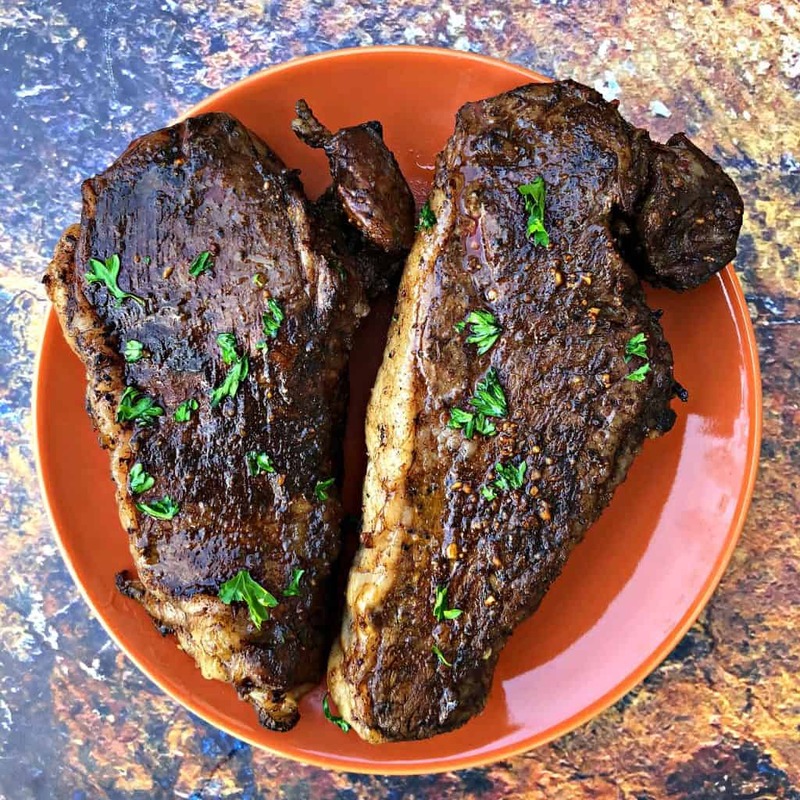 This keto-compliant version may not taste the like meatloaf that you grew up with, but you will love this savory recipe cooked in your air fryer. Per Serving: 260 calories, 13 g fat, 6 g carbs, 6 g fiber, 1 g sugar, 26 g protein. 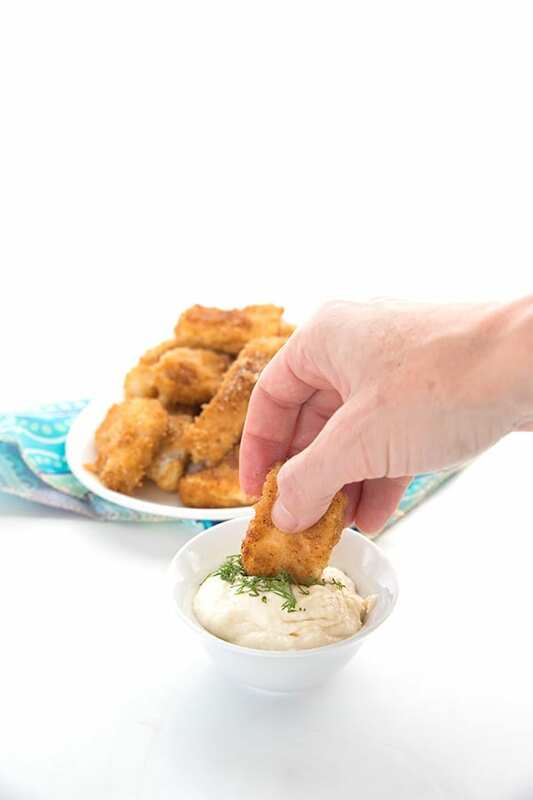 Cooking breaded fish until crispy has never been easy using your air fryer. Although this keto compliant dish is so simple, it is packed with a taste that will please just about everyone, even the kids. If you can’t find pork rind panko in your area, simply just crush some pork rind. It is also best to refrigerate the fish for at least 30 minutes before cooking to set the breading well so it will not come loose with the strong circulating hot air of your appliance. Per Serving: 263 calories, 16 g fat, 1 g carbs, 0.5 g fiber, 26.4 g protein. 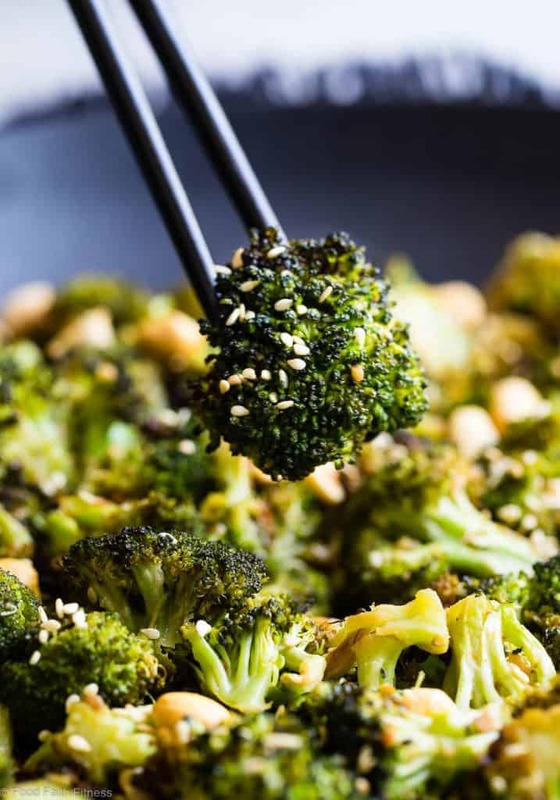 You’d be surprised to find out that you can cook a broccoli dish that is so addictive. This compliant recipe is made with an Asian dressing that adds a myriad of spicy, salty, & sweet flavors to your meal. The added salty roasted peanuts add a wonderful crunchy texture to it. Serve with preferred keto main dish. Per Serving: 154 calories, 10.8 g fat ( 1.7 g saturated), 10.9 g carbs, 4.2 g fiber, 5 g sugar, 318 mg sodium, 6.4 g protein. This spicy is easy to make and takes only 15 minutes to cook in your air fryer. 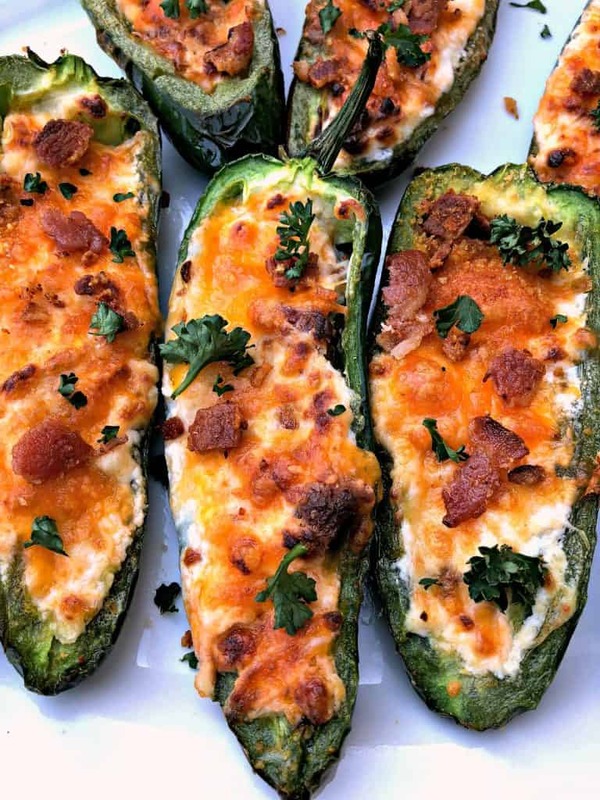 The jalapeno peppers are cooked to crunchy texture, the cream cheese adds a creamy feel in your mouth, and the melted cheddar cheese a savory taste. You can serve them as snacks or appetizers for any event, gatherings, or parties. Per Serving: 62 calories, 4 g fat, 3 g net carbs, 3 g protein. These Buffalo wings version may not be as crunchy as the traditional dish, but every piece is still as delicious. 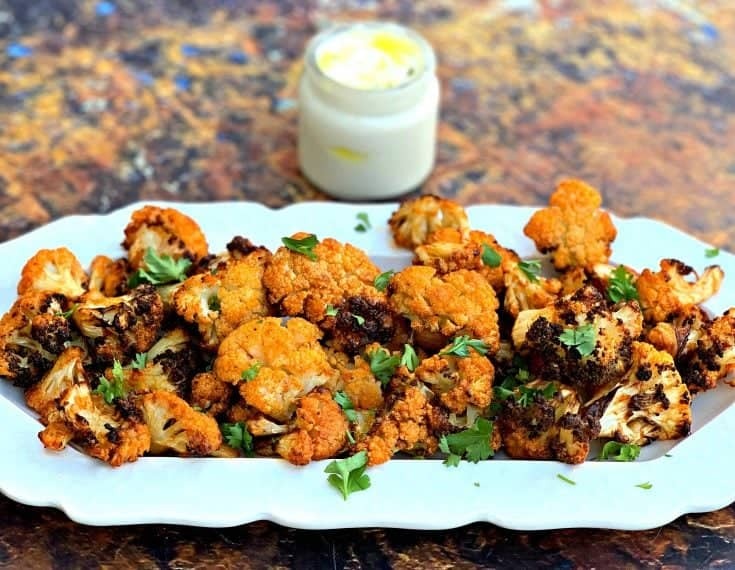 Spraying them with oil before cooking ensures they come out crisp and with that wonderful delicious roasted cauliflower flavor. Do not worry about using store-bought hot sauce; it will not compromise the macros. Per Serving: 101 calories, 7 g fat, 4 g carbs, 3 g protein. 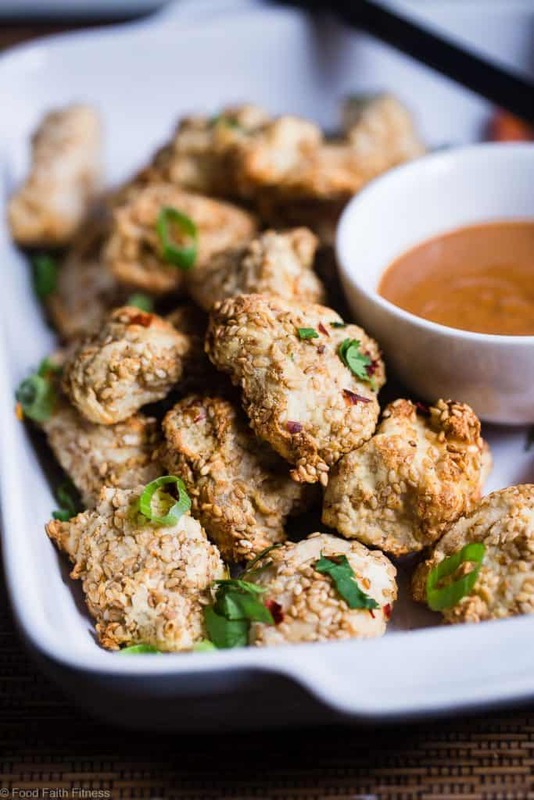 These chicken nuggets with an Asian twist come out looking fancy that people would think it takes a lot of time and effort and time to make them. They are actually pretty easy to make though. Serve with an equally delicious dipping sauce. You will definitely cook these many times a week. Per Serving: 286 calories, 11.6 g fat ( 1.2g saturated), 10.3 g carbs, 5 g fiber, 1.5 g sugar, 254 mg sodium, 29.9 g protein. This keto meal may be simple and easy to make, but it has a big taste. The beef patty comes out juicy after a cooking time of just 12 minutes in your air fryer, unlike the ones that are made on a grill or skillet. And you can make it using just 5 ingredients. Now isn’t that wonderful? Per Serving: 670 calories, 50 g fat, 0 g carbs, 39 g protein. These steak nuggets may be your next favorite dish. With a creamy, delicious dressing, you will leave you craving for more. 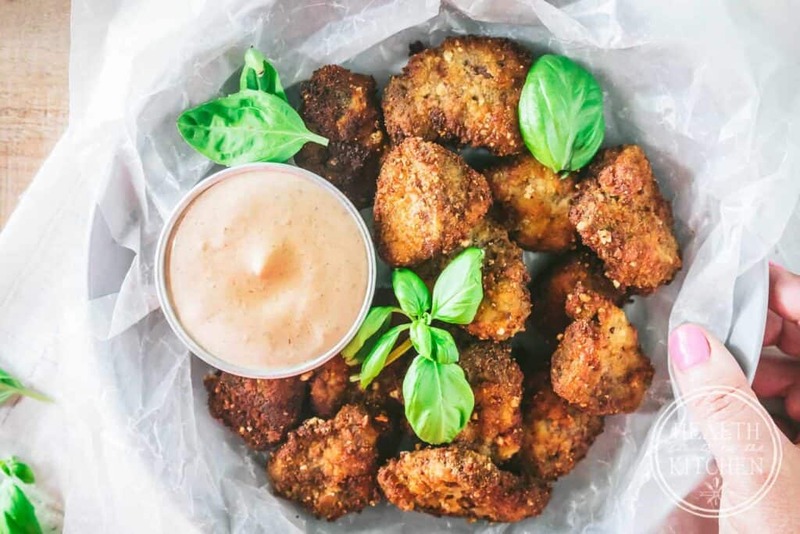 This crispy beef pieces seasoned with keto breading are delightful that they will make the chicken nuggets make a run for its money. You can also prepare several batches and freeze them raw. You can fry them frozen solid till cooked through whenever you want to bite on some. Per Serving: 609 calories, 38 g fat (14 g saturated), 2 g carbs, 0.01 g fiber, 0.4 g sugar, 1803 mg sodium, 63 g protein. Pressed for time? Then this quick and easy keto-diet friendly recipe will save your stomach when you are hungry for a snack. It is loaded with creamy cream cheese, white cheddar cheese, sharp cheddar, and parmesan cheese, with savory garlic to taste. You can also serve them as appetizers for gatherings, events, and parties. Per Serving: 116 calories, 8 g fat, 3 g net carbs, 8 g protein. 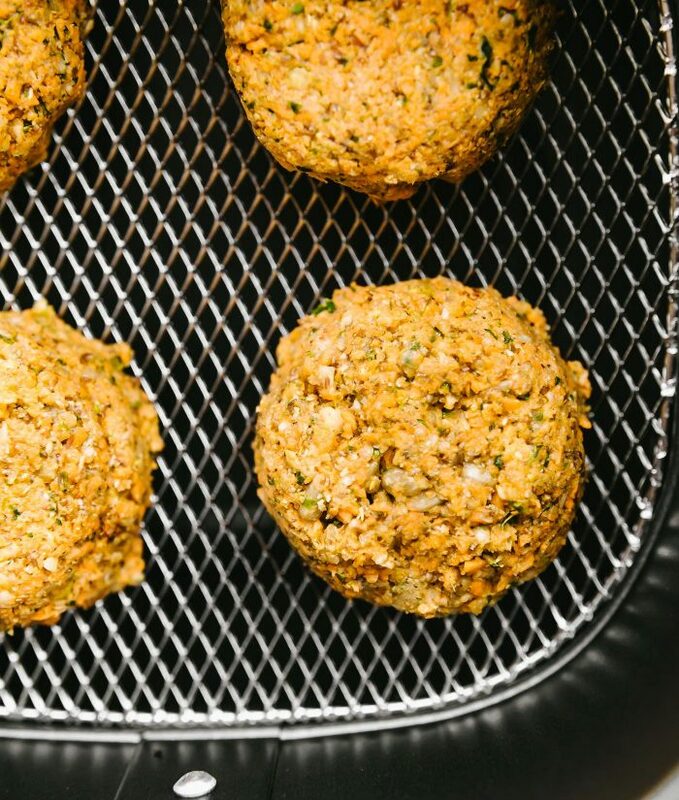 You can make these cauliflower and sweet potato patties without any eggs to bind the ingredients together. You can serve them as a snack, appetizer, or a meal. They also freeze well for meal prepping and a fast dish in a cinch. They come out as mini veggies sliders without the bread, of course. Per Serving: 85 calories, 2.9 g fat (1.3 g saturated), 9 g carbs, 3..5 g fiber, 1.7 g sugar, 200 mg sodium, 2.7 g protein. This simple recipe is ready to eat in 10 minutes, but they come out very tasty with parmesan cheese and garlic flavors. 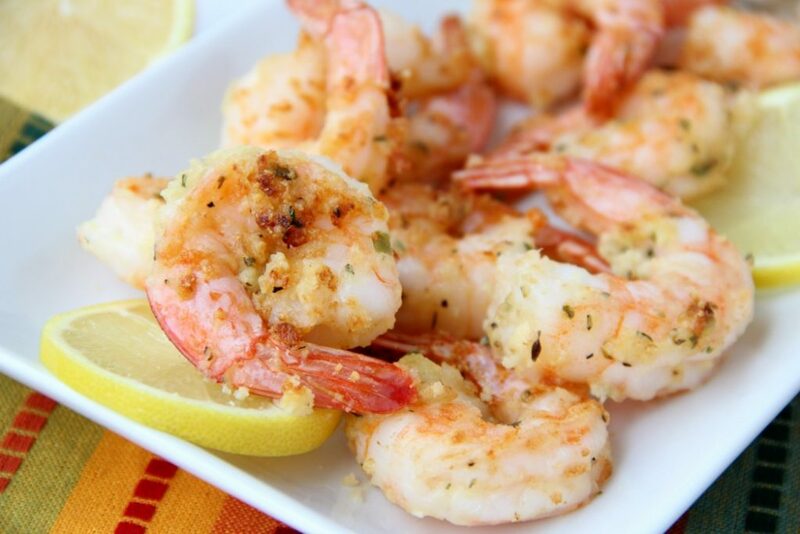 All you have to do is toss the shrimps with the rest of the ingredients. The drizzle of lemon juice adds freshness to the dish. 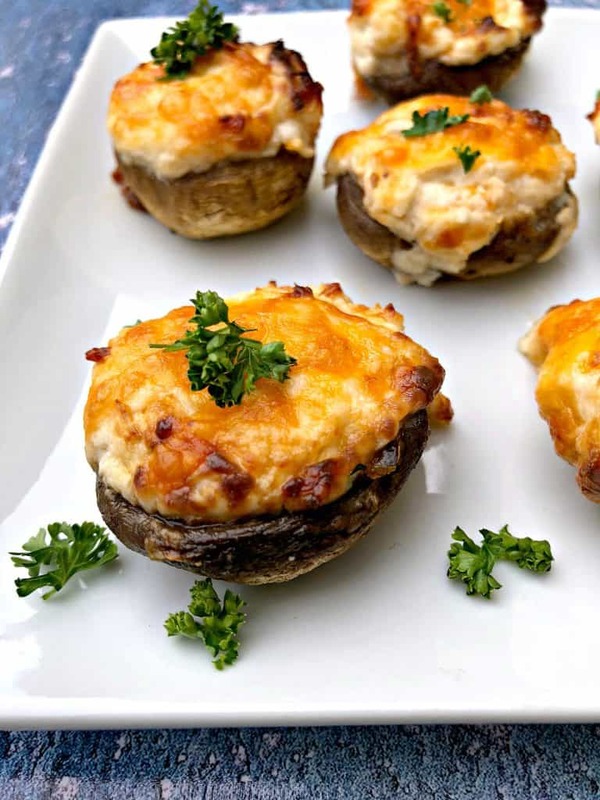 Serve with low carb veggies on the side. Per Serving: 396 calories, 14.5 g fat ( 4.6 g saturated), 7.3 g carbs, 0.7 g fiber, 0.6 g sugar, 710 mg sodium, 57.5 g protein. Did you know that you can make fried rice in your air fryer? Now you know this valuable technique. You may think that cooking this dish in your appliance is complicated, but it’s pretty simple; you will not need any parchment paper or heat-proof dish to line the basket. 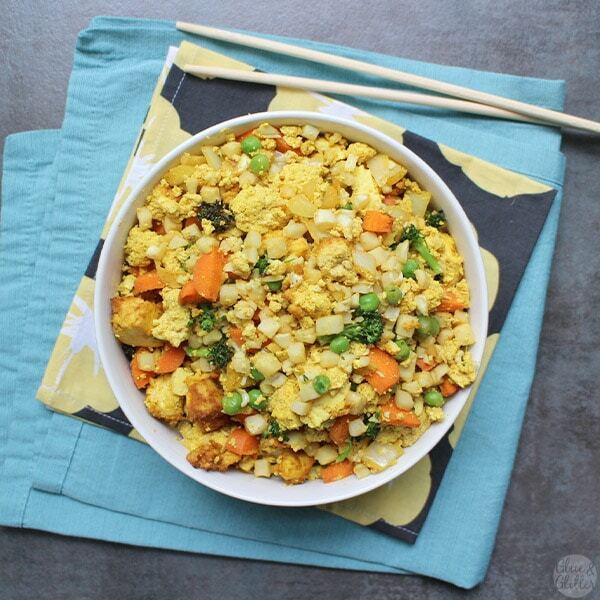 The best part is that you can use any ingredient you have on hand to add to your fried rice. Per Serving: 128 calories, 3.3 g fat ( 0.5 g saturated), 19/5 g carbs, 6.1 g fiber, 7.2 g sugar, 1267 mg sodium, 7 g protein. These sweet and spicy salmon patties come out crispy on the outside but deliciously juicy on the inside. 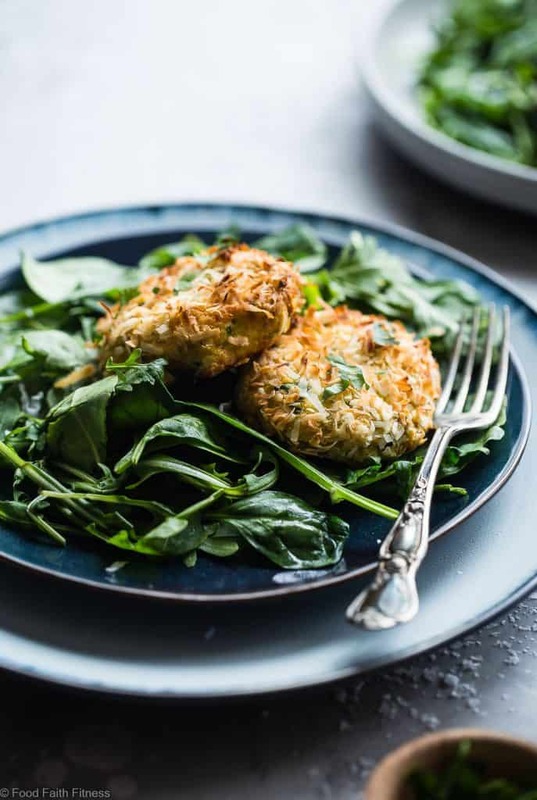 The secret to their crunchy texture is the coconut flakes, which cooked add that delightful toasted coconut flavor that compliments the salmon. It a complete dish served with the patties topped on a bed of simple sautéed greens. Per Serving: 519 calories, 29 g fat (10.6g saturated), 26.7 g carbs, 11 g fiber, 0.6 g sugar, 981 mg sodium, 41.2 g protein. Cooking ketogenic dishes in the air fryer is easier and fast than using the oven. With the right accessories, you can cook about just any high-fat, low carb recipes that will help you complete your daily macros requirement on the diet. Lining the basket with foil and parchment paper helps for easy cleanup. Just make sure you use containers and liners that are smaller than the basket and do not come in contact with the heating element to allow the hot air to circulate, which is the cooking method of the air fryer. Also, if frying dishes using other containers, then create a foil sling to help you put it in and get them out safely from the hot appliance. Just tuck the folds into the baskets.